Trees can add value to any property, and they have beauty and majesty that are unrivaled in the natural world. But every tree goes through a life cycle that will inevitably end with its death. Your trees can last longer and stay free of pests with regular tree maintenance. This includes inspections and pruning that gets rid of unhealthy branches or insects. Sometimes the entire tree has to be removed, if it has lived past its usefulness and is starting to decay. Tree removal may be necessary if a storm has caused irreparable damage to your tree. It could also be required if your tree is encroaching on your plumbing or your home’s foundation. Or you may need to remove the tree to make room for a garden or an addition. Whatever the reason for needing a tree removed, you should not hesitate to call the experts at Jim’s Trees. For years, we have been serving commercial, residential and government clients with our professional tree services. Our skilled team of arborists is able to remove any tree or stump without damaging your property. And we gladly remove all debris left from our work as well. It doesn’t matter how large the job is, how tall the tree is or how hard it is to access, we can handle it for you. We use state of the art tree cutting technology and equipment to remove trees quickly and with minimum inconvenience to our clients. Our powerful tools and skilled tree professionals ensure that we can get in, get the job done and help you get back to what you want to do faster than anyone else. If you would like to save your trees or just schedule some maintenance for them, our consultant can provide you with advice to help prolong the life of your trees. 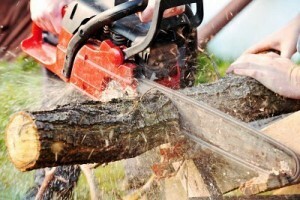 It may be tempting to find cheap help to assist you in removing trees from your property. But you can actually end up paying more if a tree is knocked down the wrong way or a tree falls where it is not wanted. Removing trees is no easy job, and to do it quickly and without much hassle requires skilled labour and powerful tools. At Jim’s Trees we have the expertise and the equipment to get trees out of your way with speed and precision. All customers will be satisfied with the services we provide or we will make it right for them. Contact us to schedule a consultation or site visits. 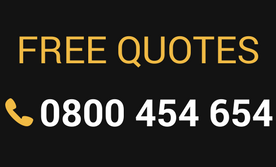 Or use the web site to receive a free quote. What you need to know before hiring an Arborist. What’s the difference between an Arborist and a Tree Lopper? We provide obligation free quotes. Copyright 2017 © Jim's Trees NZ. Maintained by Digital Squad.